Explore a speculative digital world without screens in this fanciful demo, a mix of near reality and far-future possibility. 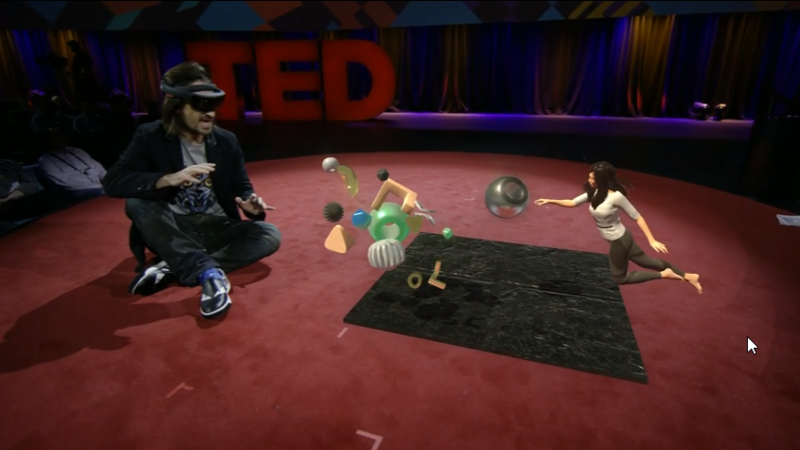 Wearing the HoloLens headset, Alex Kipman demos his vision for bringing 3D holograms into the real world, enhancing our perceptions so that we can touch and feel digital content. Featuring Q&A with TED’s Helen Walters. I think its the same as skype because in both cases we are able to see each other and not touch each other.I do not understand how this technology will improve communication.